But that was two albums in a row that were only half ok, so I found a (possibly illegal, but I couldn’t possibly comment) download of their No Line On The Horizon album, listened to it once and promptly forgot about it. You know a band has really crashed and burned when they GIVE you their album for free and you still can’t be bothered listening to it. If Apple were going to give me free music, couldn’t they make it something good, like those bonus tracks from Bowie’s re-release of The Next Day? 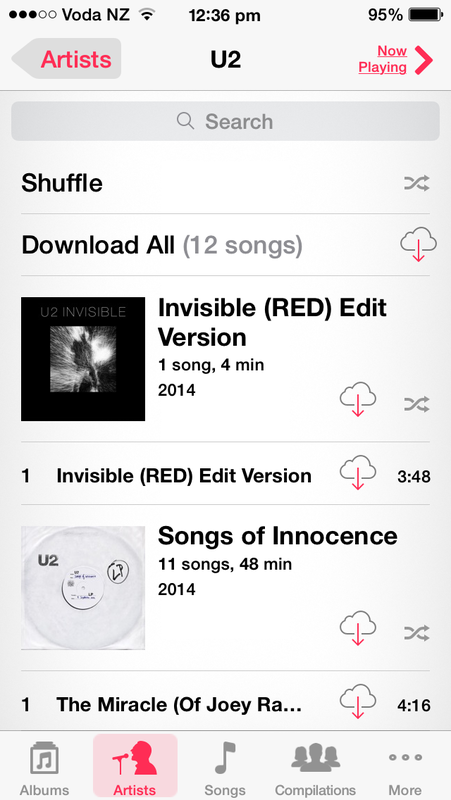 Seriously, Apple, giving me free U2 will not give you street creed. Or cause me to even thank you. Heh, hard to argue with that. 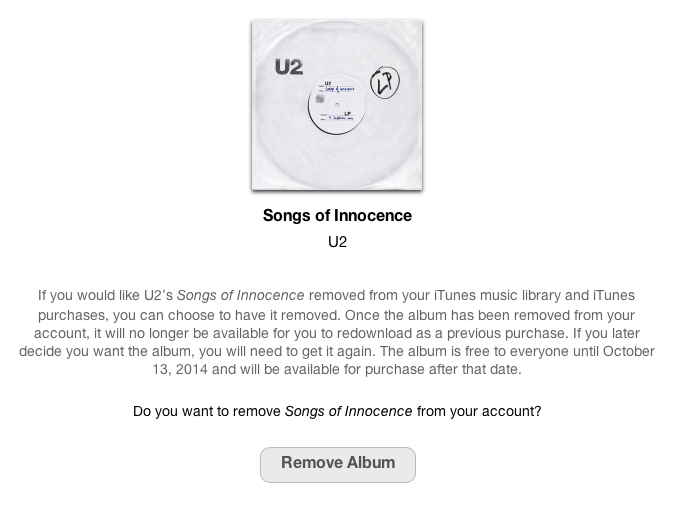 Click here to go to Apple’s ‘SOI removal’ page.